I love to read WoodenBoat, "the magazine for wooden boat owners, builders and designers", although they really should add "dreamers" to that list - and I doubt it's just me. It is, in my humble opinion, the best magazine out there - especially since the demise of Woodwork. 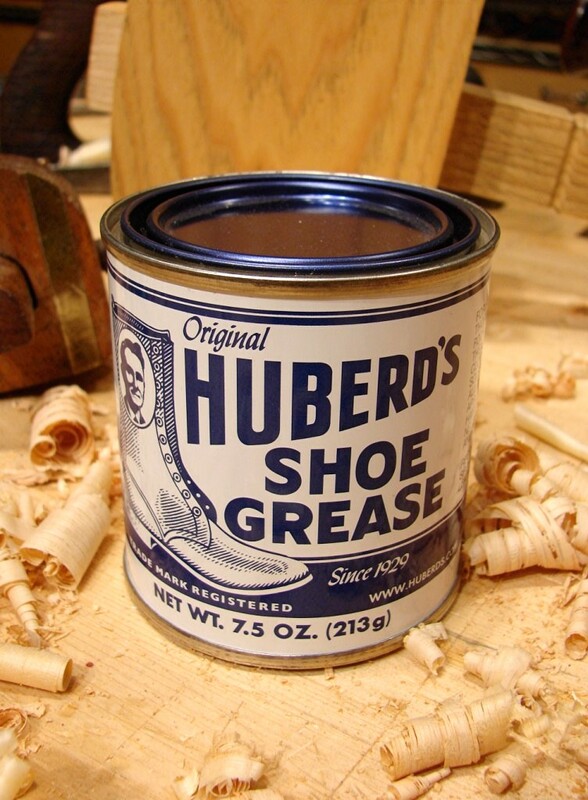 Anyway, I was looking through an old issue from 1999 and stumbled across an article/review of Huberd's Shoe Grease, which I had never even heard of. The author, Greg Rössel, stated that he tried the beeswax and pine tar product on leather with good results, and that it also had some promise on wood. Included with the article was a picture of the can - it looked awesome and I decided to try to find some. So, I asked Mr. Google and located their site (http://www.huberds.com/) and some online retailers, but never got around to ordering any. Then, not too long ago, I was walking through the outdoor/camping section of my local "Big Box Costco Reseller" and there looking about 100 years out of place was a can of Huberd's Shoe Grease. The can was even cooler in person, but what really sealed the deal was when I popped the lid and took a big whiff of the grease. Mmmm. Deep memories stirred - I knew that smell, and it wasn't just the beeswax. Pine tar? I still haven't figured out where I know it from - previous life maybe? I've played around with it a little and it is definitely interesting. I don't know if it will end up being a regular finish in my shop or not. I'll keep you posted.